The city’s skies have been stained black a troubling amount of times in 2016, the blazes burning a new bad memory into the chief’s mind. 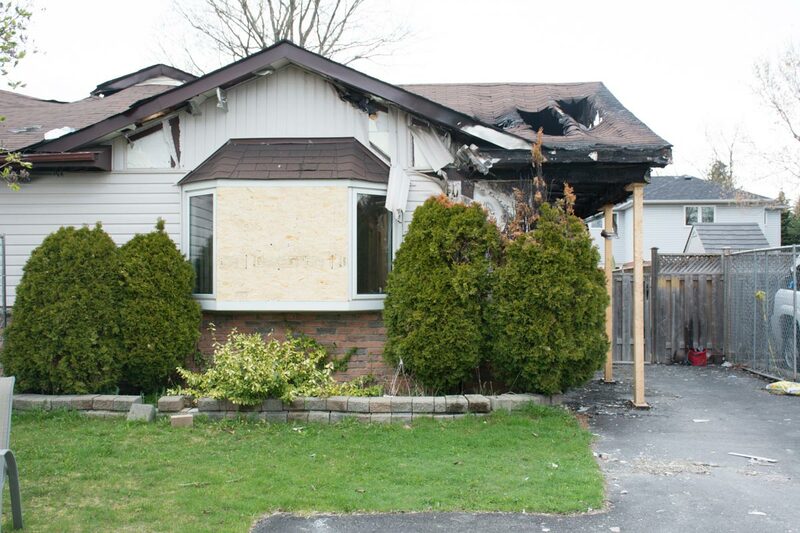 Since the start of the year, Oshawa has seen more than 40 structure fires, resulting in more than $3 million in damage. For context, 2014 saw 97 fires and just over $3.7 million in damage for the entire year. Severe blazes burned through the Easter weekend, with four fires between Good Friday and Easter Monday, including a house fire on Cedar Valley Blvd. that turned the home into a total loss. A dryer fire caused between $10,000 and $15,000 in damage and fires also broke out in a garage on Colborne Street and a chimney on King Street West near Wilson Road. A separate Wilson Road fire caused nearly $250,000 in damage while a blaze burned through a semi-detached home on Astra Avenue causing approximately $450,000 in damages. Perhaps the most tragic was a home on Mary Street which, after a family escaped early in April from a fire caused by a space heater, saw their home completely destroyed only weeks later. Nobody was hurt in the blaze that caused between $500,000 and $600,000 in damage. The cause of that fire is still under investigation. A fire at the Peacock Lumber yard also caused $375,000 in damage. “It is certainly a spike, a very troubling spike,” Meringer says. What’s more troubling is the fact that several of these incidents have been in homes that investigations discovered didn’t have a working smoke alarm or had no smoke alarm at all. Thankfully no deaths have occurred as a result of a fire in 2016. According to Susan King, Oshawa’s chief fire prevention officer, charges are now being laid in eight of these cases. The maximum charge for not having a smoke alarm can be $50,000 and/or up to a year in jail depending on the severity and outcome of the fire. The spike coincidentally precedes the launch of Durham’s second-annual Get Real Durham campaign, a collaborative effort of fire services across the region to educate residents about the importance of fire safety in their homes. “The message we’re trying to get to the public is there is absolutely no need for anybody to die in a fire,” Meringer explains. The campaign stresses the importance of not only smoke and carbon monoxide alarms in the home, but also having a home escape plan. The importance of these precautions is becoming more and more critical as fires continue to grow larger much faster due to lightweight construction and the amount of combustible materials in the home. “As fires are getting stronger and worse, people really really need to rely on these,” Meringer says of safety measures. For more information, residents are urged to visit oshawa.ca/fire or contact the fire prevention office by phone at (905) 433-1238 or by email at fire@oshawa.ca.